Imagine being in a room of over 2,000 people most of whom have had transplants (heart, lungs, liver, pancreas, kidneys or bone marrow) or supported a loved one undergoing this life-changing operation. Imagine people, complete strangers, coming up to you and asking three vital questions “what operation did you have?”,” when was it?” and “how do you feel now?”. And, in contrast to others who ask, really understanding your response. Although a salute to transplant recovery everyone in the room was paying tribute to the organ donors that made a new chance in life a reality. This sums up the unique and wonderful experience of attending the Gala Evening at the end of the World Transplant Games in Málaga, Spain in 2017. 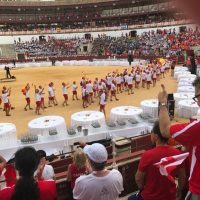 The huge hall is filled with athletes and supporters from 52 nations who have come together to celebrate the end of a week of intense competition. And something special is happening. People are wandering between the tables, spotting their rivals from an event that week and celebrating or consoling each other, swapping team hats or other paraphernalia and exchanging email addresses. Some of those that have attended several games have a relationship with athletes from their own and other teams going back many years. As for myself, the occasion happened to coincide with the third anniversary of the arrival of “my twins” as I call my two new lungs. 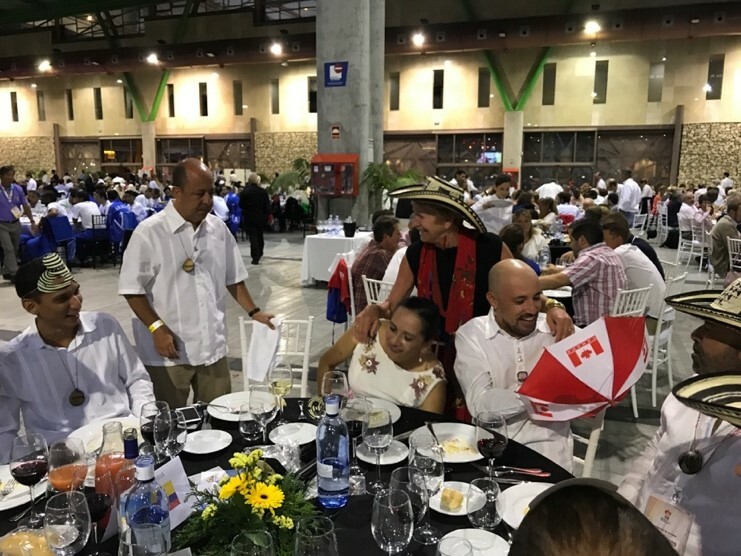 I’d competed in the Canadian Games in 2016 and, as exciting as that was, the exotic location, inter-mingling of nations and camaraderie within the Canadian team made the “worlds” even more special. I was lucky enough to win five medals in the over-seventies category in Canada but had limited expectations at the world level. Some of the participants had been world class prior to their operations and carried that talent and discipline into their “second lives”. All had trained for at least a year for their events and some even had subsidies from their governments or payments for winning medals. Some countries had a qualifying process and some provided training, physio and other medical support in Málaga. We Canadians paid our own way although a few did some fund-raising while I, and maybe others, urged supporters to contribute to a charity to commemorate the event (Civitan is a charity that helps lung transplant patients from outside Toronto during the expensive wait for new lungs and in dealing with the 3-day per week, three-month exercise regimen at the hospital afterwards). 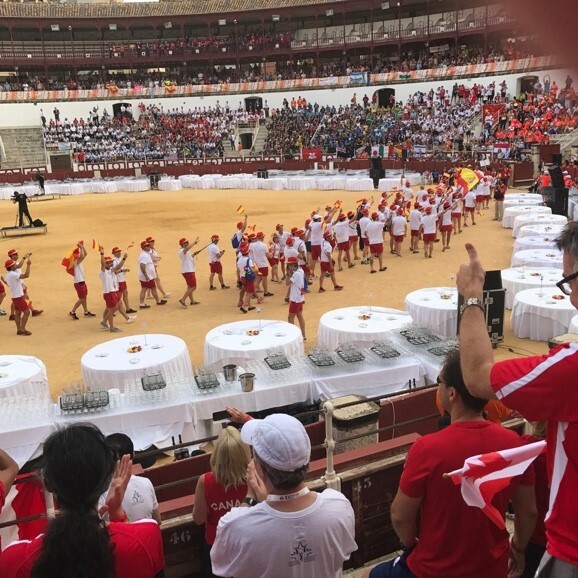 Attending the Opening Ceremony as part of the Canadian team and observing over fifty other teams marching around Málaga’s historic Plaza de Toro bullring in their colourful uniforms and behind their respective flags. On the way around another Canadian competitor said to me that it’s a good job there are no bullfights anymore since we’d be sitting ducks in our bright red uniforms. Being “adopted” by other teams who cheered me on, and I also cheered them unless they were competing against a Canadian. In particular, I remember getting some very raucous cries of “Vive Vincent!” and “Vas-y Vincent!” from the French team during my squash and tennis games and wonderful “go, go, goes” during my long (too long) 5km walk. Watching the young children, some under 10, overcome their difficulties and compete to the best of their ability. Meeting with some of the highly-tuned athletes on the Canadian and other teams who, when you add up the difficulties they’ve overcome and the training regime they submitted to, probably put in as much work as a nationally ranked athlete. The support and enthusiasm of the Canadian team management in the face of some chaotic scheduling and extremely long waits between some events. And of course, all the international volunteers who were always there and did their best to help us all – in an amazing location: Málaga, Spain. Ole!!! 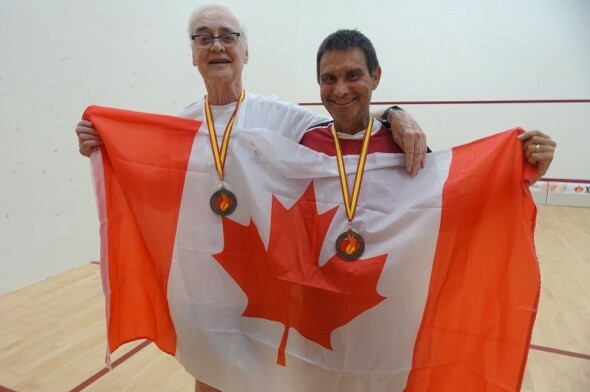 On the downside, I was surprised how little publicity was given to both the Canadian and World Transplant Games by hospitals and other health centres. This is such a unique and special occasion to raise awareness of the importance of organ donations. None of this matters, though, when you are competing, mingling with other competitors or with supporters. 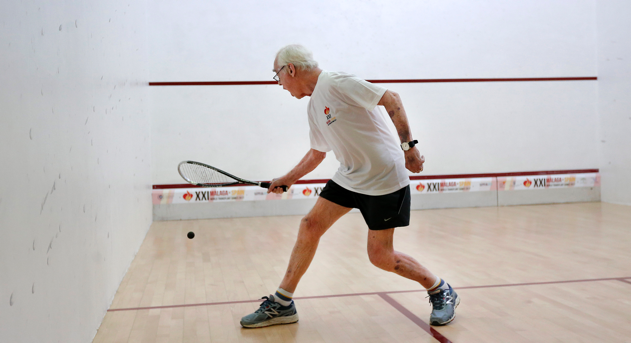 I was lucky enough to win a silver medal in squash, a bronze in tennis and a bronze in ball throw. A week to remember!